Need large legs for your next woodworking project? In all likelihood you’ll need to glue up furniture legs in order for them to be large enough. The problem with a glue up is that two of the faces will look great, and the two adjacent faces will not. At minimum you could have a striped look because of color and grain variation. Additionally, if you want quartersawn legs, you’ll end up with two quartersawn faces, and two plain sawn faces. This simple tip solves that problem, and provides a great low tech method for spreading glue uniformly. 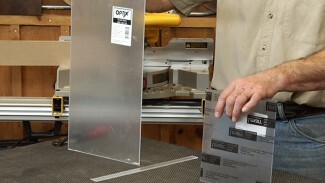 Many things are involved in getting good glue ups in your woodworking projects. The material must be prepped correctly, you need to use the right glue, and you need to correctly clamp the parts together. 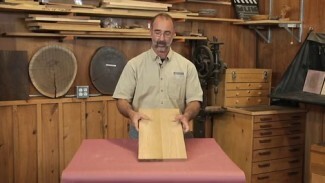 WoodWorkers Guild of America has lots of instructional videos that will help you learn how to glue and clamp wood together, including lots of approaches you can use to glue up furniture legs. Learning how to build furniture can be very rewarding. You can get high quality pieces of furniture for a fraction of the cost, while improving your skills for your next woodworking project. 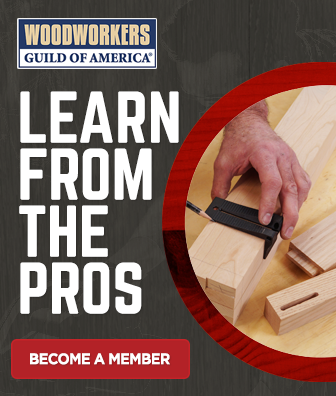 Be sure to check out everything WoodWorkers Guild of America offers on this topic. Original Wood Glue provided by Titebond. For more information visit www.titebond.com. 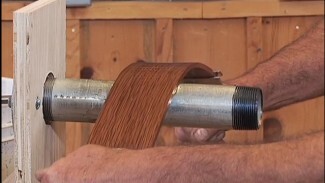 What is the best way to make the thin veneer? With those thin skins I would have expected to see the use of clamping cauls to spread out the clamping force ? would would you taper the three piece laminated leg? If the project designed called for a tapered leg, there is no reason that you shouldn’t taper cut. However, from an aesthetic standpoint, when you laminate to create a leg blank you should always use pieces that are thick enough so that your tapered cut will not pass through a glue joint. If you do cut through a glue line it will look bad, as there will be glue on the surface of your project and depending on the wood species this could really stick out like a sore thumb. Yes, you could do this, but handling the transition from the taper to the upper straight portion of the leg would be tricky. 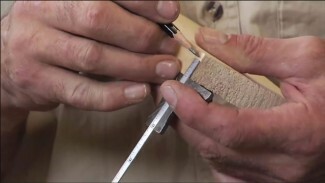 Yes, extra clamps, and I would also suggest scoring the veneer at the transition point to make the bend easier. Excellent idea and one l will definitely use, I especially like the laminate idea which also adds strength. Just one small criticism though and that is the very wasteful use of glue in the clip! Great idea to use the threaded rod, another trick l will use, but while spreading the glue you took off a huge amount that was waste in a paper towel. Then to my amazement, you add more glue from the bottle, spread that and took more off which was wasted! If that was me the waste glue would have found its way back into the bottle. Great videos, keep up the good work.